NASA’s Commercial Crew program will take another step forward as the space agency prepares to install docking equipment on the International Space Station (ISS). A series of three spacewalks will be conducted starting Feb. 20 and concluding on March 1 of this year. 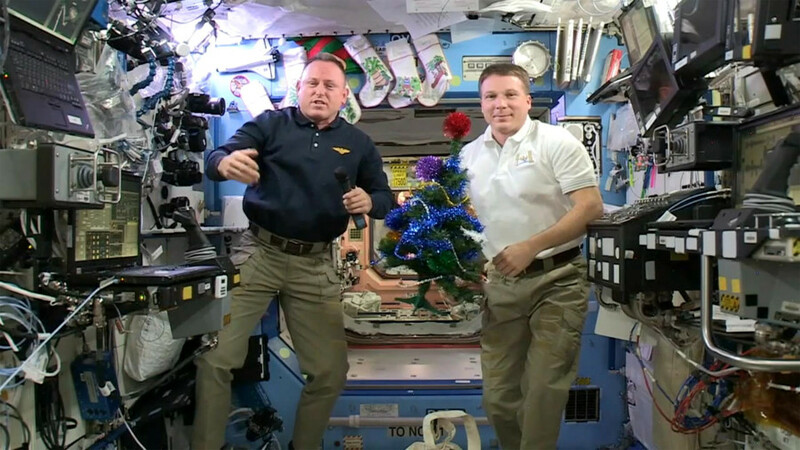 Barry “Butch” Wilmore and Terry Virts, two NASA astronauts, will perform the spacewalks from the ISS. Their tasks will include installing cables and communications equipment for new docking ports. These new ports will allow future U.S. commercial crew vehicles to dock with the space station. NASA TV will provide live coverage of the spacewalks, which are also referred to as extravehicular activity (EVAs). 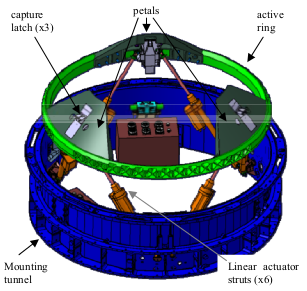 This installation is the first phase of the new NASA Docking System (NDS), which as a program endured numerous changes at the Johnson Space Center as the Low Impact Docking System (LIDS) and international Low Impact Docking System (iLIDS) before being largely shifted to Boeing and their Soft Impact Mating and Attenuation Concept (SIMAC) design. The critical design review was completed in 2014, and the system is designed to allow the Orion Multi-Purpose Crew Vehicle, SpaceX’s Dragon v2 and Boeing’s CST-100 to dock at the ISS. The NDS docking mechanism uses low impact technology and is the first system to allow vehicles to both dock and berth at the ISS. It is also capable of transferring power, communications, data and air between the ISS and attached vehicles. Crew and supplies pass through an opening that is 31 inches (80cm) in diameter. These spacewalks will lay the groundwork for converting the pressurized mating adapters (PMAs) located on the forward and zenith ports of the Harmony module, also called Node 2, from the existing Androgynous Peripheral Attach System-95 (APAS-95) to the NDS. Once the spacewalks have been completed, two International Docking Adapters (IDAs) are scheduled to be launched to the ISS on board SpaceX resupply missions 7 and 9 later this year. Upon arrival, they will be connected to the station, thus completing the conversion from APAS-95 to NDS. APAS-95 has been around for some time, was designed by the Moscow-based company RSC Energia and has been used to dock the space shuttle orbiter and the Functional Cargo Block (Zarya). The astronauts performing this set of spacewalks are career professionals with NASA. Wilmore was selected by NASA in 2000 as a pilot and has served on two space shuttle missions. STS-129 aboard the space shuttle Atlantis was his first flight and the 31st shuttle flight to the ISS. His second flight was also aboard Atlantis and was the final flight of the space shuttle program, STS-135, for which he served as CAPCOM. He returned to the ISS in September of 2014 on Soyuz TMA-14M as part of the long duration Expedition 41 ISS crew. Virts also started his career at NASA in 2000. He was the pilot of STS-130, the 24th flight of the space shuttle Endeavor, which was launched on February 8th, 2010, and which brought the Tranquility and Cupola modules to the space station. Virts returned to the ISS on November 23, 2014 aboard Soyuz TMA-15M as part of Expedition 42. NASA’s current plans have the spacewalks (EVA #29, EVA #30, and EVA #31) scheduled to last approximately 6.5 hours. Each spacewalk will begin at about 7:10 am EST. NASA TV coverage for each walk will begin at 6:00 am EST. The spacewalks are scheduled for Feb. 20, Feb. 24 and March 1. If you compare the Dragon V2 and the CST-100, one would think that we were comparing the 1960’s to the current date. The CST-100 is designed for ONLY VLEO operations. Its heat shield is not designed, as is the Dragon’s, to survive reentry from higher angles and speeds associates with operations above LEO. The Dragon has legs and a propulsive landing system and in intended to be returned to land and reused. The CST-100 is recovered at sea, is refurbished at a cost of 80% of new construction, and ties up 14 ships and hundreds of US military and NASA employees in the recovery. Both can carry seven crewmen. But the Dragon can carry both pressurized and unpressurized cargo in addition. This means that ONLY Dragon can return experiments, broken equipment, etc back to Earth. And last but not least Dragon has restroom facilities while CST-100 uses diapers. But the biggest problem is with the crooked bid system that Boeing is a major part of. In exchange for hiring NASA and Pentagon procurement officers into cushy retirement “jobs”, Boeing is allowed to have major cost overruns and very late deliveries. In fact, since the Korean War, Boeing has never delivered any air- or spacecraft within 20% of the original budget or within 1 year of the original target date. This would push the cost up to a point higher than paying the Russians and would not see real testing until 2018 or 2019.
so off base it isn’t even funny. You have most of it exactly backwards. Boeing has a very good record on deliveries and quality of product, thus one major reason they were chosen: they ahve the confidence of the people who are on the hook to make this work. SpaceX will now be landing in water on parachutes, far from the vision promsied in fancy videos. CST-100 has many similar capabilities including the station reboost option. Your bias is incredible and borders on delusion. Since the Korean War, Boeing and Lockheed have abused the no-bid contract to the point of sheer lunacy. They have not delivered a single product on time or within 15% of the costs. They get these contracts by hiring NASA and Pentagon procurement officers who tilt the playing field in their direction. The CST-100 is designed for ONLY VLEO operations. Its heat shielding is not sufficient for the higher speed/higher angle entries from LEO and above. Dragon is designed for any entry angle and almost any possible entry speed. Initially the Dragon will land on water with parachutes, but it is designed to land on a regular launch pad for almost immediate reuse. The pad abort system is also the propulsive landing system. Most likely the barges will be recycled to initially recover the Dragons as the Falcons are recovered to land. Then the Dragons will be recovered to land as well. The CST-100 will not make its target dates (it has already slipped over a year.) Boeing has never even come close to completing a federal contract without running to contracts court to have overruns certified. My bias is obvious and I stand by it. ULA/Boeing/Lockheed are a crooked organization that is robbing the American taxpayer blind. They are peddling 1960’s technology, Russian rocket engines, Chinese electronics and nothing more. But the sad truth is that the day of single-use launch vehicles is over and Lockheed and Boeing are 30-40 years behind SpaceX. The likely outcome of the CST-100 is that it will slip its schedule by at least 40% — 43% is the Boeing average. That will mean that all the contract launches will more than likely be given to SpaceX (if SpaceX wants them.) 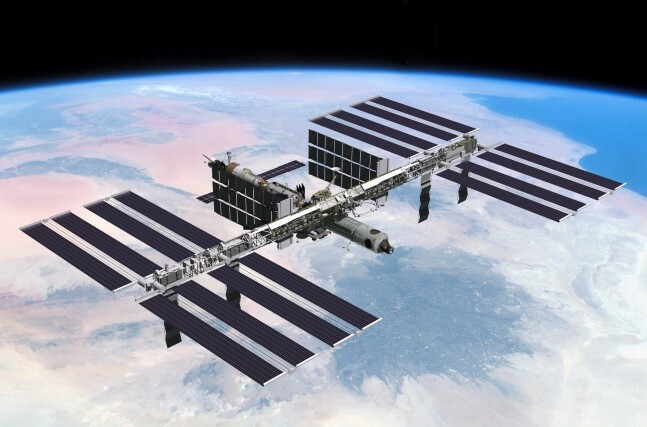 Boeing has to even send the docking collar to the ISS by SpaceX launch since it cannot do it. It is very hard not to be biased toward SpaceX. Boeing is selling the 1960’s while SpaceX is selling current technology. Chris C You need to do some research on the CST-100 & update your outdated information. CSt-100 is designed to use parachutes and airbags to land on land. There are serious doubts that the CST-100 has the ability. Boeing has “suggested” the capability, but the airbags are necessary to try to minimize seawater damage and add flotation to the capsule. You really don’t need the concerns about seawater damage and flotation on land, do you? Boeing is famous for misleading “suggestions” in design bids. Go back and look at the “suggestions” for some of their military aircraft and you will see that these sorts of things are just window dressing and are used later to “suggest” cost overruns and delivery delays. Although not a fan of CST-100, it should be noted that both CC vehicles can carry cargo and crew. In addition, Drsgon will land by parachutes in the ocean initially until their propulsive landing systems are proved out and approved. It is my understanding that the CST-100 can carry 7 crewmen and no cargo or fewer crewmen and some pressurized cargo. The Dragon can carry 7 crewmen and both pressurized and unpressurized cargo. Please correct me if I am wrong. Sorry but that is not necessarily true. Right now the “trunk” as Musk calls it is a means for delivering unpressurized cargo. But it also stored the solar panels for Dragon. Currently there is no requirement for returning unpressurized cargo — waste. Other ISS disposable cargo capsules perform that function and burn up in the atmosphere. So the trunk is jettisoned. But it can be used for that purpose if necessary by simply furling the solar panels. But the big thing for the future is that the next version of the Dragon cargo capsule will incorporate the propulsive landing system and landing legs in the trunk. The trunk is large enough to return unpressurized cargo in addition to the propulsive landing system if a use for it can be found. With SpaceX you always have to look and see the next step that they are always working toward.